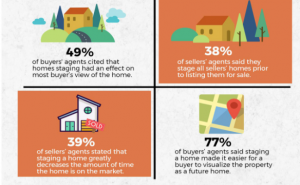 According to the NAR (National Association of Realtors) both selling and buying agents agree that staging a home is one of the best tools their clients posses when it comes to selling or purchasing a home. And here are some reasons why. 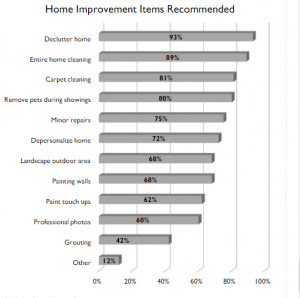 72% 0f these professionals feel that staging a home makes it easier for the buyer to imagine this as their future home. And while almost half feel its a great tool to help the client. 4% say it has no effect whatsoever. 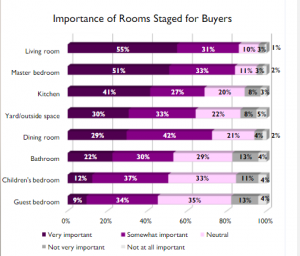 And what are the most important rooms realtors feel can convince a client that they’ve found the right home? -Living Room came in first, master bedroom came in second, the kitchen third, and then the outdoor space. But don’t waste your time on the guest bedrooms. Realtors agree this is the least visually important room to stage. Maybe they just don’t want to give family members any ideas about visiting our Miami shores! 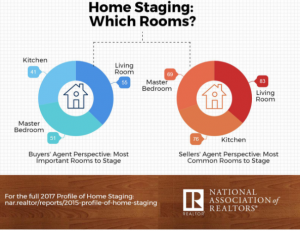 -You’d be surprised to learn that only 25% of all sellers provide funds for staging, while 21% of sellers’ agents pay for it themselves. Some realtors have discovered that offering their staging services to their clients will also raise their bottom line. That all depends on the client and their realtor. While 38% stage all of their clients homes before putting them on the market, 14% only stage homes that are not an easy sale. 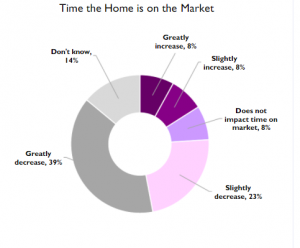 7% did say that they did not stage clients’ homes befoer listing them. But they use common sense and aske their clients to declutter the house and do small fixes around the house (home cleaning, carpet cleaning, changing lightbulbs, adding foliage around the house, never have pets present when showing the home.